Something to look forward to: Though the mobile typing experience has never been ideal, Microsoft's SwiftKey keyboard certainly improves the situation quite a bit. By merely sliding your finger across the keyboard quickly, you can type full words and sentences with remarkable accuracy. Interestingly, it seems desktop users will soon be able to access SwiftKey for themselves, as the feature is arriving with the upcoming "Redstone 5" Windows 10 update. Although Microsoft's Windows Phone never found quite the following the company hoped it would, the company's mobile software is another story. Indeed, one of the most popular apps on mobile devices is Microsoft's SwiftKey keyboard, which they acquired back in 2016. The keyboard seeks to offer a more convenient, efficient alternative to ordinary mobile keyboards. It accomplishes this primarily through its auto-correct and quick-typing features. The latter allows users to simply drag their finger from key to key to type out messages, a process that can often be significantly faster than manual typing. 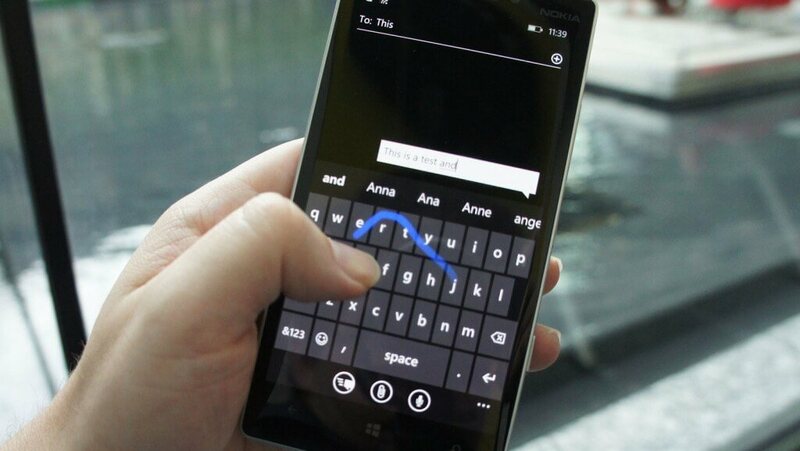 It seems the SwiftKey app has grown enough on mobile devices that Microsoft is ready to take it a step further. Microsoft will officially be bringing SwiftKey to Windows 10 later this year as part of their upcoming "Redstone 5" update. Redstone 5 is also bringing improvements to Windows 10's Game Bar - when you have the feature toggled, you'll be able to see in-game FPS, as well as RAM, CPU and GPU usage. If you're a Windows 10 beta tester, you should be able to access SwiftKey and the new Game Bar improvements right now by opting into the latest Redstone 5 preview. If English isn't your native tongue, the preview build will also include several other SwiftKey languages, such as French, Russian, Spanish and German.